Very Good. 2014. Paperback. Good clean copy with some minor shelf wear.....We ship daily from our warehouse. Very Good. 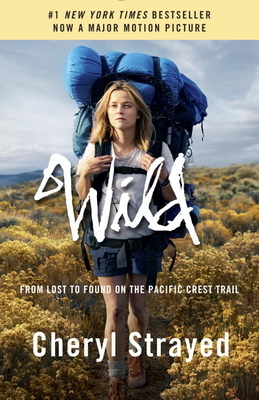 Wild: From Lost to Found on the Pacific Crest Trail by Strayed, Cheryl, 2014-11-18. Trade paperback (US). Glued binding. 336 p.
Fine. 1101873442 Ships promptly from Texas. STRAYED'S BOOK IS AS RIVETTING AS THE MOVIE. ANYONE WITH BAGGAGE OR HAS FRIEND WITH BAGGAGE CAN RELATE TO HER PHYSICAL AND MENTAL JOURNEY "UP THE TRAIL." If you can get by her self absorption, Strayed is a compelling author whose descriptive genius takes her reader right there on the PCT with her. Well written and obviously cathartic, she is courageous (often foolishly so) and persistent.. If you want to do some research on how a Narcissist lives, than this might be the book for you. Strayed whines constantly throughout the book, thinks only of herself, never considering how her actions effect others. The mindlessness displayed as she sets out on her journey so totally unprepared is laughable. She has the morals of an alley cat and finds it necessary to drop "F" bombs at every instant the whim hits her to describe some other thought or action as if she's in constant 'heat'. If your looking for an uplifting, turn your life around story - better look elsewhere. Even at the end of her journey of 'self discovery', she never showed remorse or concern for what she had done. She is still a Narcissist. No great revelations here. Strayed treks the PCT by herself to help heal her grief after losing her mother. She suffers from cold, heat, hunger, sore bones, oozing feet and scares from animals and the elements...but she perseveres and has quite a story to tell. She grabs your attention on page one when she loses one of her hiking boots! You will be riveted.